Apple WWDC 2016 is the place for the major announcements from the Apple held at Bill Graham Civic Auditorium, San Francisco. 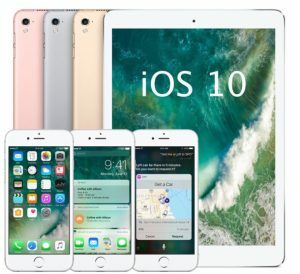 The Highlights of the event are mentioned in detail, and the biggest statement in the event is about the iOS 10 which is yet to release with the ultimate features in messages and the all new designs for Photos, Maps and Apple Music. macOS Sierra has released, and the Siri makes the debut for your desktop along with the release of the Apple Pay to the web. The two updated version of the tvOS and the watchOS are also released in the event. This watchOS helps in easy navigation and enhances the big boost in performance. tvOS is updated and brings the expanded Siri searches. One of the most significant announcements in the WWDC 2016 is iOS 10. Everything which you love is even better with the iOS 10. The iOS 10 is redesigned the lock screen and the viewing the notifications made a change in the iOS 10. If you raise your wrist holding the phone, the device gets wakes up. The 3D touch is provided in the iOS 10 where you can view the notifications and the applications easily and quickly. Lock Screen Management is improved. When the device is locked just swipe up for the settings panel, then if you swipe left then the music player is available separately. It has made easy than ever for launching the camera in the iOS 10, just swipe the screen to left for the quick launch, when the device is locked. The privacy of the user always come first and iOS 10 is safe and secure. The compatible devices are iPhone 5 or later, iPad mini 2 or later and iPod Touch 6th Generation. The iOS 10 update is available for all the users from the FALL, announced at the WWDC event 2016. WatchOS is another announcement made at the WWDC event 2016. The Apple Watch has done a lot of transformation in the Apple watch which is most widely popular across the world. Each time Apple received several complaints from the users who are using the Apple watch. The watch responds slowly and lags in opening the applications. With the release of the watchOS 3, this is going to be faster than earlier. The apps open more quickly than they used and according to Apple, the response time for the applications is at least seven times faster. This significant update in the watchOS 3 is SOS feature which lets to call and connect with the emergency services like 911. Apart from this, it also sends notification message to the emergency contacts and notifies them that you need help. It will also share your current locations right at the time you requested for the help. It even also shows the medical ID of the user. Another scribble feature is that you can draw the letters on the watch which will convert them into the text. The activity sharing lets you see the activities followed by the family and friends and find the persons who are leading in the ranking among them. The brand new application is released called ‘Breathe’ which is a health-related application which is compatible with the Apple watch. It is developed for guiding regarding the deep breathing sessions. Another OS for the TV, tvOS is announced at WWDC special event 2016 by Apple. With this update, sling TV is coming to the Apple TV so that the live streaming TV service is finally arriving at the Apple’s set-top box. This is the great news for the users, probably not the best news for streaming the TV service where Apple is still working on it. The new Remote application is available for the iPhone and the iPad which is updated and redesigned which helps to enter the text in all the fields. With this update, the performance and the functionality of the Siri are dramatically enhanced. For example “search YouTube for cat videos” and Live Tune lets you speak the name of the channel app to tune into the live broadcasts quickly and instantly. The best thing is once you sign in on your Apple TV to your network’s online service, then it will automatically log you into all the compatible network services. You don’t have to login to the Xfinity separately for viewing the HBO Go, Showtime Anytime and each other network application. The brand new OS which is announced at the Apple special event is macOS Sierra. Out of all the OS X is now dead and long live macOS. The debut of the Siri on the Mac is done with the new capabilities which are designed for the desktop. 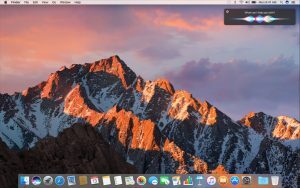 It is not only the thing which makes the Mac smarter, macOS Sierra helps you rediscover the best photos from the memories. The payments are made more securely in the online and work more seamlessly between the devices. This also helps in free up the storage space. The macOS Sierra does even more for you so that you can do more with your Mac. When you are wearing the Apple Watch, just open your Mac and login without entering any password. Just take your seat and get right back to your work. No passwords are required to login. 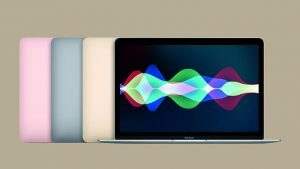 Finally, Siri is on the Mac; Siri is capable of doing several things on the Mac just like you do. For example, whatever thing you are busy or no matter you are working on, just ask “Talk about the big news” then your favourite personal assistant will always ready to respond to click away. Raise any questions you want to ask Siri; it will quickly respond with the prior results in the less time. You can rediscover the memories in beautiful new ways. Swift Playgrounds is powerful programming language created by the Apple for the iPad. Swift is used by the professionals in building the today’s most popular applications. This application is going to hit the App store in the fall. This app makes learning Swift interactive and with fun in solving the puzzles to master the basics using Swift. This app lets you take the series of challenges and step up for more advanced creations. This is best for the students to start out since this requires no coding knowledge. This is the best platform for the learning experience since it is built to take the full advantage of the iPad. This also offers a different way for the experienced developers to bring the ideas quickly to the life. 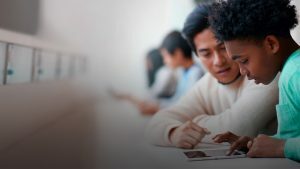 This is the new way to create the code on the best device for learning. Sending and receiving the messages in the iOS 10 is so cool. Many updates are included which you lets chat Big, Bold and Beautiful. The simple things create the great impact is related to the things that are effected in this latest update. Few things that present in the messaging segment are listed here. Write yourself, it’s how you say it, Let’s Celebrate, Invisible Link, Tap Back, Add Personal Touch, Stickers, Tap to replace Emoji, iMessage apps, Siri now open apps.